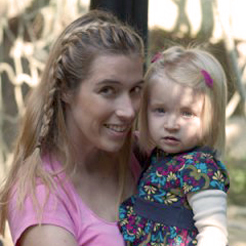 While we had been controlling and ushering her through her morning and evening routines like clockwork since birth, her memory of exactly what to do wasn’t as well formed as we assumed it would be. I guess that’s just because we’ve had over 30 years of practice to remember that we need underwear on before we put our pants on. Or to brush our teeth before hopping in bed. Or if it’s cold outside, to wear a long-sleeved shirt with pants and not a tank top and shorts. 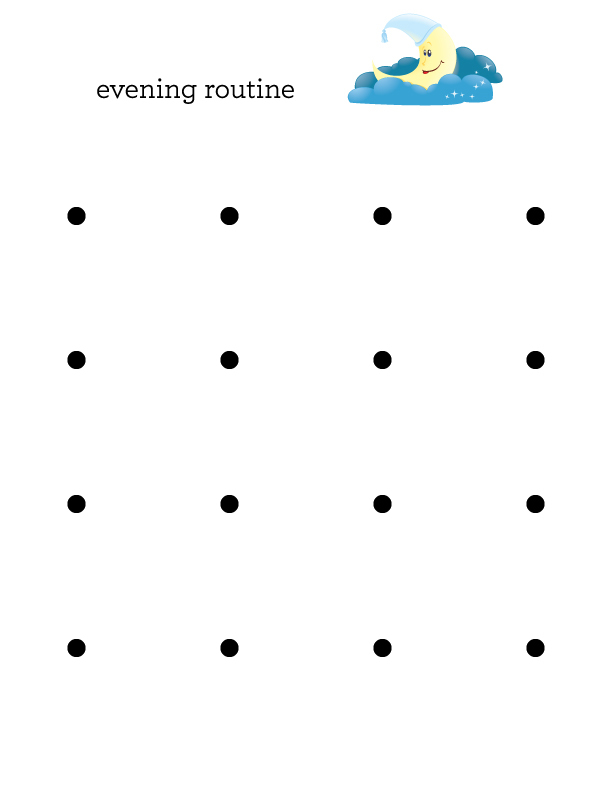 So, to help things go a bit more smoothly, I designed some routine chart templates for us to use each morning and night. And boy has the need for our nagging decreased exponentially in the past few weeks! If you want to make a chart just like mine, I’ve included the icons and chore chart I designed in the supplies list below! 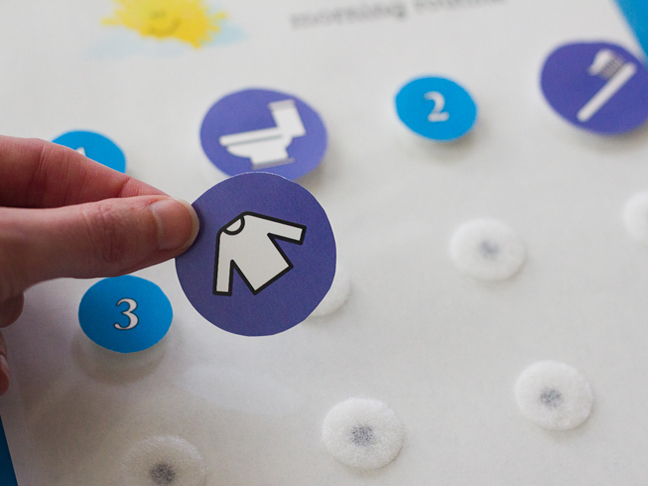 Just print the icons on card stock, buy some velcro dots, and get ready to stop nagging your kiddo(s)! Just open the JPEG files below, save them to your computer, and print! 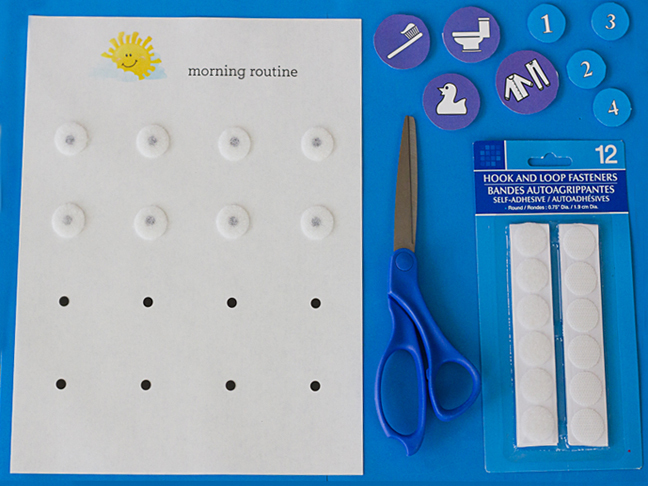 Step 1: Print the routine charts and the icons on card stock. 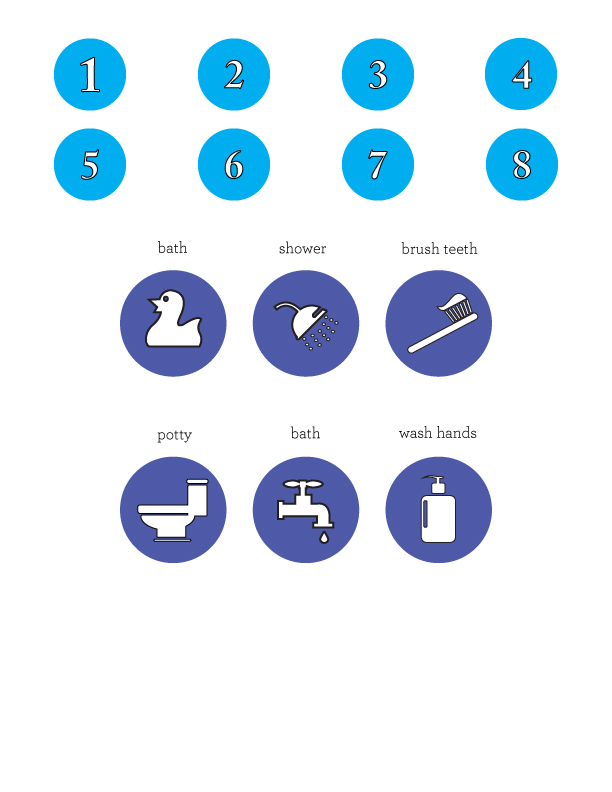 I made icons for the following routines: brushing teeth, going potty, bathtime, putting on pajamas, taking a shower, and washing hands. 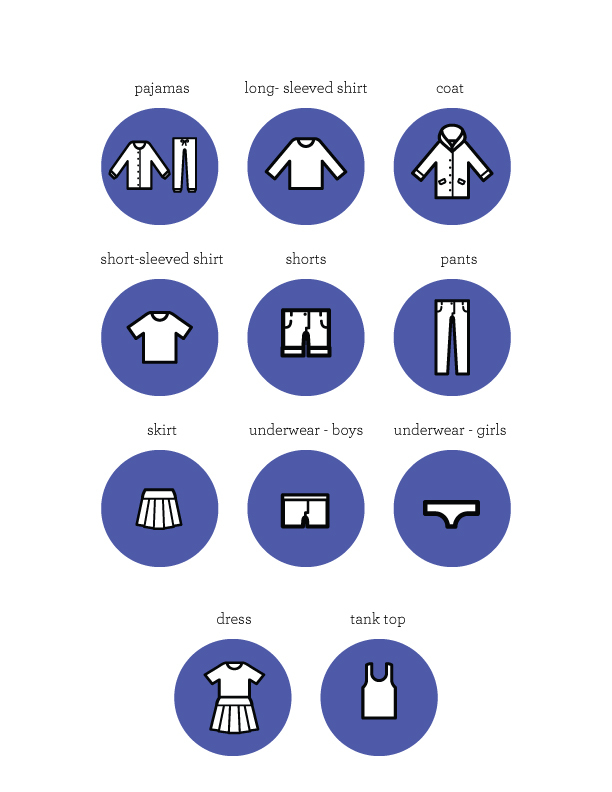 Then, to help out with what to wear each morning, I made additional icons for clothing: short-sleeved shirt, long-sleeved shirt, shorts, pants, skirt, dress, coat, tank top, and underwear. 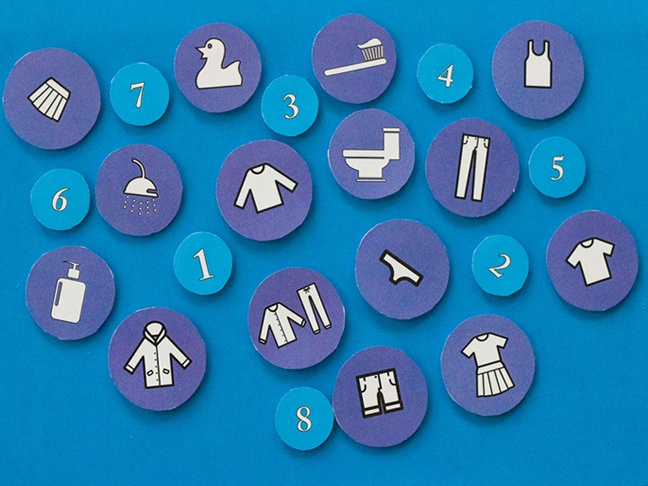 I also made eight number icons to show the sequence of the steps. 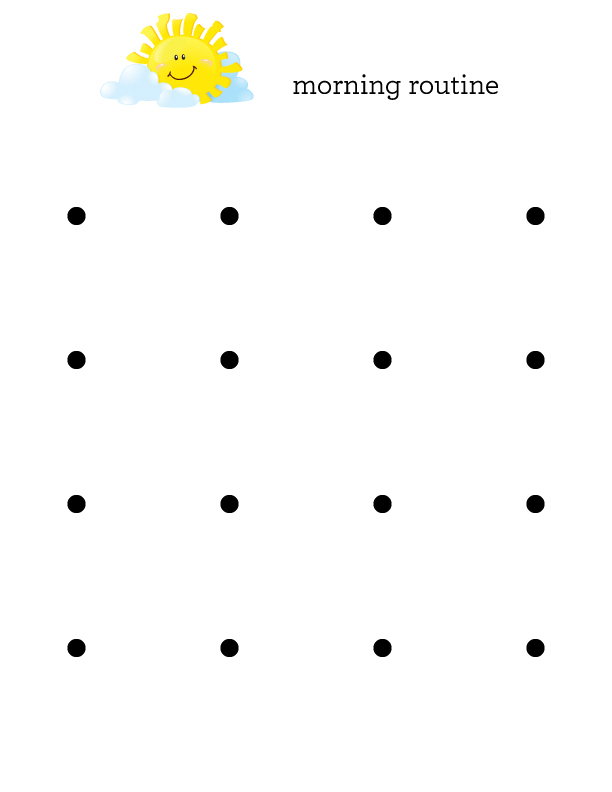 Step 2: I made a morning and evening chart, then attached velcro dots to the numbers, icons, and to the chart itself. Step 3: Then it was just a matter of putting the routines in the order that I wanted. For example, here’s my daughter’s evening routine chart: go potty, take a bath, brush your teeth, and put on your pajamas. Pretty simple and straightforward! 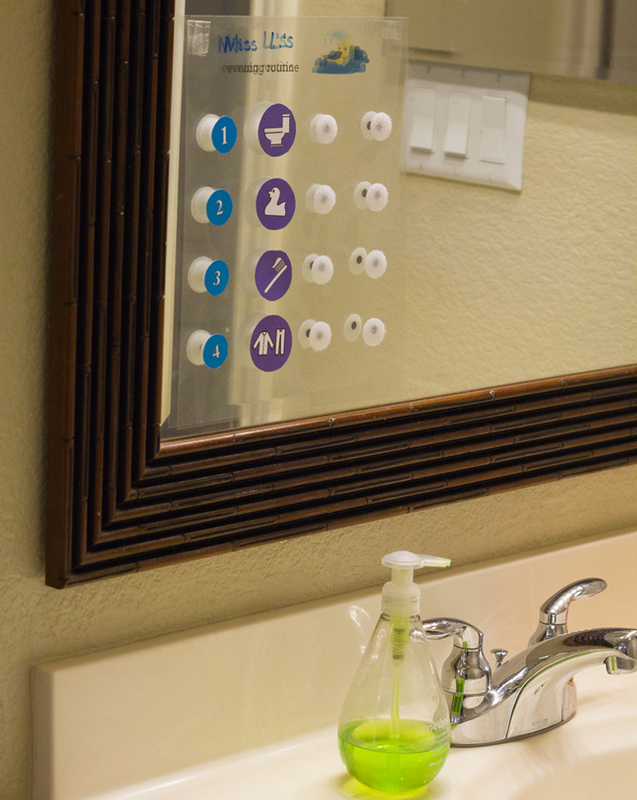 The evening chart was posted on her mirror (I printed it on transparency paper, so it wouldn’t be too distracting on the mirror), and her morning chart is posted on the back of her door since she’s expected to have that all done before she opens her door in the morning. Now you might be wondering why there are so many extra spots for additional routines (16 per chart, to be exact). Well, I did this because I expect to increase the amount of routines as she continues to grow up. 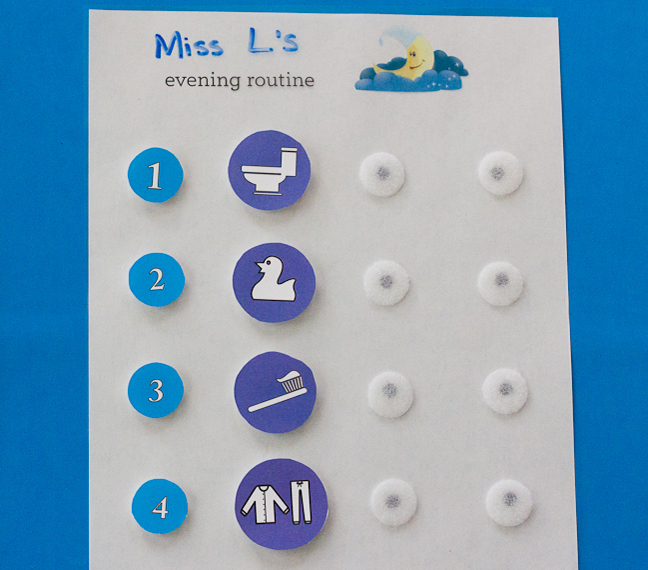 I expect that she’ll be in charge of making her own bed and brushing her own hair long before Kindergarten arrives, so why not include those new routines on the chart as they come along!